Maintaining a supply chain verification is critical to your business, having all of your details correlated into a single system is both more accurate and cost saving. Production – track data from purchase of the seed to harvest. Purchase of seed including lot or batch number, date of purchase, who purchased it, cost, quantity and suppliers information. Planting information, where, who, what equipment was used, how much, environmental conditions, any material used. Growing information, all of the labor, equipment, and material used to grow the item to harvest. including fertilizer and chemical use. Harvest – track data from the field to the warehouse, packing or processing facility. Who, where, what, when and how much of the item was harvested. 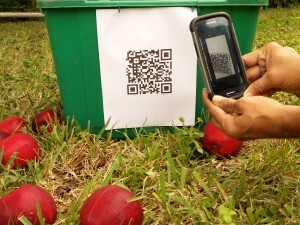 Individual items packed in the field can be scanned and tracked. Palletized items can be scanned and tracked. Bulk trailers can also be scanned and tracked. Warehouse, Packing or Processing – track items all the way through the system. Items are sent to the facility as a sale, a fixed price can be recorded or an estimated price that can be updated later upon receiving the return. Items are received as inventory and scanned using the same code scanned in the field. Product that is put into “lots” for repacking or processing can be tracked with our system or transferred into the facilities system. With our system you can track your product from Seed to Sale!